We offer Yarn Dyed Woven Fabrics to our clients. We are manufacturer and supplier of Yarn Dyed Shirting Fabrics. Yarn Dyed Fabric. Strips Design With maximum color of 6. 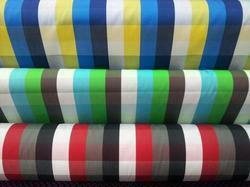 Our organization is indulged in offering Stripe Yarn Dyed Fabrics to our clients. Our range of product is highly appreciated among the clients for its innovative designs, pattern and color combinations. These are widely appreciated by our clients which are situated all round the nation. These are also available at affordable prices. 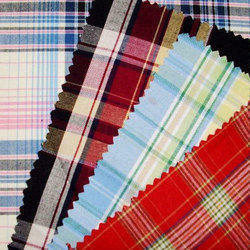 100% cotton fabrics for men's and ladies' clothing. We offer high quality range of Yarn Dyed Fabric. It is made by optimum fine quality of fabric. It is available in many attractive colors, color combinations, prints, designs like checks, print, plain, stripes, patterns and textures. We offer our range at market leading prices.